Sometimes when we’re sewing or crafting, just the smallest tip can be the AHA! moment that either can make our projects go faster or help us improve in an area that needs some help. I’m always on the look out for tips that I can readily put to use. As with most of you, my time is limited for all the projects that I have lined up, so any bit of help is appreciated. ** The easiest way to mark evenly spaced buttonholes is to use the Simflex expanding gauge! Open the gauge so that the points are the correct distance apart, then mark the positions for the buttonholes. This can also be used for hemming, shirring, pleats and many other things. ** An easy way to mark the position of a snap — sew on the pointed half first then rub chalk on the point and lay the fabric to where the snap should be. The chalk will rub off in the exact location for the other part of the snap. ** It will save a great deal of “total working time” on a project if you will take care of the thread ends as each bit of stitching is completed. If you fail to do this, it will take extra time when the project is finished to trace out each loose hanging piece of thread in order to clip it. If you just leave the loose pieces of thread hanging, it will detract from the overall professional look of the garment. ** When you purchase fabric for a specific pattern, but cannot make it up right away, store the fabric, pattern, zipper, thread and any trim or buttons TOGETHER, preferable in a zip-lock bag. By doing this, the sewing project will go much faster and be much more enjoyable when you do get to it, than if you have to start searching for the notions. ** Periodically go through ALL your stacks of fabric just as a reminder of what you do have available. Some new ideas may come to mind as to what you can do with pieces you already have, as opposed to running out to buy something new. 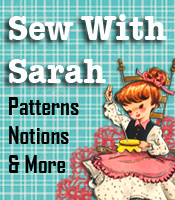 This one tip has helped me MANY times as I’m teaching my grandchildren how to sew. We look through the fabric I have to see if something might be useful for the project they’re wanting to work on. We have saved many trips to the fabric store by using fabric that I already have on hand. 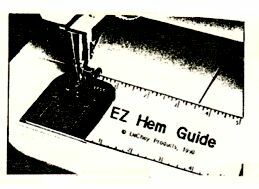 ** For all your measuring at the machine needs (hems, borders, trims, etc), the EZ HEM GUIDE is perfect. The adhesive backed measuring guide fits perfectly in the throat area of the sewing machine, resulting in accurate measuring on everything you sew. ** As with other facets of life, sewing will be done better if you set some GOALS. Decide when you start a project when you want to complete it – write the date down – cut out date, 1/2 finished date, completion date, etc, then FOLLOW THROUGH with the goal! You’ll feel great when you’ve accomplished it. By setting the goals for each project, you’ll find that you will be able to get more done with much less procrastination. 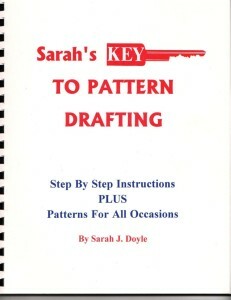 This article is an excerpt from the book, 500 Kwik And Easy Sewing Tips, written by Sarah Doyle. 500 Kwik & Easy Sewing Tips contains the best of customer hints and tips accumulated over 25 years. Spiral binding makes it easy to turn to each tip you need at the moment. 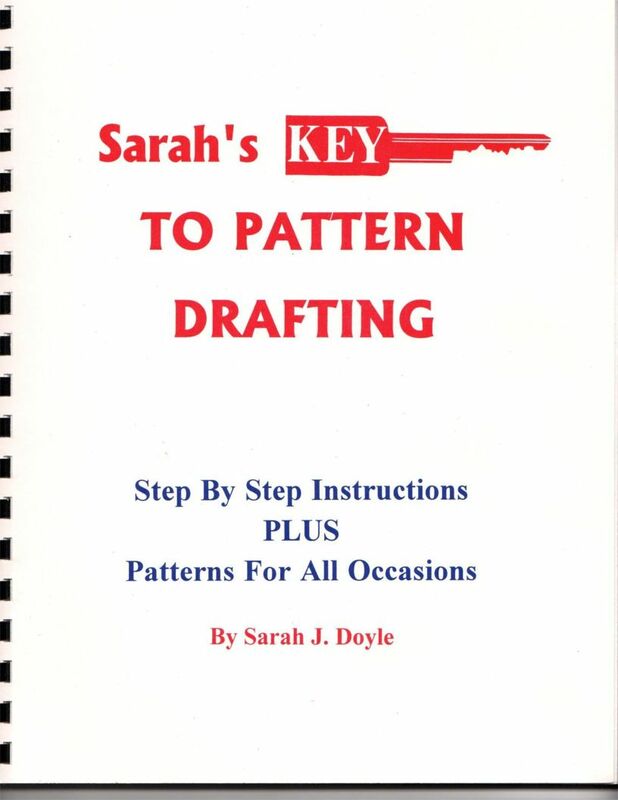 This could be the best book in your sewing room!